Iggesund Paperboard is a leading European manufacturer of virgin-fibre paperboard, used for packaging and graphical products. The company places great importance on sourcing its raw materials, and all paperboard can be supplied certified in accordance with PEFC or FSC. Invercote is a solid bleached board with excellent print reproduction. The multi-ply construction gives it high-elasticity and also means that the creases do not crack, which is a much-needed feature in both graphical and packaging production. Typical uses are to package products that require an elegant finish to reflect their brand values, or for applications that require complex constructions in order to achieve extra functionality. Fragrances and cosmetics, various types of gift packaging and cards, and covers all common areas-of-use. The Invercote product family includes Invercote Creato, which has identical double-coated print surfaces, and Invercote G, which is triple-coated on one side and lightly coated on the reverse. Both Invercote and Incada are neutral in terms of odour and taste, making them suitable for packaging sensitive foods. Invercote is sold in more than 100 countries and is regarded as the quality leader in most markets. Incada is a folding box board with high-stiffness, combined with an excellent print surface. The reverse side can be single-coated (Incada Silk) or uncoated (Incada Exel). The high-stiffness makes Incada ideal for traditional paperboard packaging because the stiffness makes it possible to limit the amount of material used. Typical applications are packaging for food, health and beauty products, as well as cards and covers. Iggesund Paperboard is part of the Swedish forest industry group Holmen, which has won awards for its sustainability work. The group has included its sustainability report in its annual report for some years now, which means that independent auditors inspect the environmental data, as well as the financial data. Since 2013, the Holmen Group, and also the Iggesund Paperboard, is included on the UN Global Compact’s list of the world’s 100 most sustainable companies. In 2014, the Holmen Group was also included on the Carbon Disclosure Project’s list of the 187 global companies that are leaders in the efforts to fight climate change. In addition to having low-emissions levels and a low-impact on the local environment, Iggesund Paperboard has invested €363,000 over the past five years in facilities to reduce the emission of fossil carbon from its production in both the UK and Sweden. In Workington, the mill switched from using fossil natural gas to biomass with the aid of a biomass CHP plant, which came on-line in 2013. At Iggesund Mill, a new recovery boiler came on-line in spring 2012. Both mills now runs on 100% bioenergy and are almost self-sufficient in electricity. Iggesund’s delivery service solutions range from overnight delivery from dedicated customer stocks, to normal deliveries from the mill, with a number of options in between. Further developments are planned within the next year. Iggesund’s service offering also includes everything associated with the products Invercote and Incada, from technical support in local markets to in-house expertise in the form of various paperboard reference materials. "We don’t just want customers to buy our paperboard," explains Arvid Sundblad, vice-president of sales and marketing for Iggesund Paperboard. "For us, it’s also important that they get the most out of it. All our documentation and our team of technicians, who are out in the local markets and who have experience from production operations like those of our customers, exist to ensure this." The service offering, launched under the name ‘Care by Iggesund’, also includes the fast and easy ordering of samples and inspirational materials, product safety information and certificates. In addition, it comprises access to the analytical services available from Iggesund’s accredited laboratory for sensory and chemical analyses. Iggesund’s extensive environmental documentation is also part of the service to guarantee that customers will not encounter unexpected surprises due to the origins of the forest raw material. The company was established in 1685 as an iron foundry, but started operating two integrated pulp and paperboard mills at the start of the twentieth century. The facilities are Iggesund Mill in Sweden and Workington Mill in the UK. Iggesund has a total of 1,450 employees and produces 530,000t of paperboard annually. Iggesund Paperboard is expanding in the Asia-Pacific region and will open a sales office in Japan from 1 September. Packaging should play an invisible role in how consumers perceive the taste and odour of foods, beverages and other delicate goods. Incada Silk is designed for quality packaging and graphical applications which require outstanding visual impact. Invercote Creato offers outstanding aesthetic printing properties on equal, fully coated sides. The smooth surface is tailored to faithfully reproduce the most sophisticated printed images. Invercote Duo is made by back-to-back pasting of triple coated Invercote G and therefore has the same ability to faithfully reproduce the most sophisticated printing images. Invercote G performs superbly in countless applications, helping to create a strong shelf appearance and outstandning consumer appeal. Meeting our customers’ needs and demands is what we care most about at Iggesund. No matter where your business is located, we are always near. The forest and the forest industry's products have a key role to play in countering climate change. Active, sustainable forestry can increase growth in the forest and also generate more products to replace fossil-based materials and processes. Finland-based paper company Metsa Board expanded its Husum board and pulp mill in Sweden by adding a new folding boxboard (FBB) production line. Stora Enso, a provider of renewable solutions in packaging, biomaterials, wood and paper, inaugurated the first phase of its integrated board and pulp mill facility located in Beihai city, Guangxi, China, in June 2016. This year's Christmas card from Iggesund Paperboard is an example of extreme complexity. The UK company Santoro Graphics, known for its 3D greeting cards, has created a card with Scandinavian motifs ranging from wolves and spruce trees to underwater fish. When a book of paper samples arrives in the post, the recipient is often most interested in the samples themselves. The packaging for ambuja, a natural skin care collection from Legart Forschungsatelier, was the big winner at the 2015 ProCarton ECMA Awards when it was voted Carton of the Year. The US newsletter Quick Printing conducted their 3rd annual Readers' Choice Top Products Awards competition in mid-2015. "The forests are our planet's lungs and a prerequisite for our long-term survival. Our well-managed forests transform carbon dioxide into life-giving oxygen and function as nature's own carbon sink," says Iggesund Paperboard's CEO Annica Bresky, as she enthusiastically describes the company's new venture, Adopt a Tree. Many small steps add up to large ones. That's a simple way to sum up Iggesund Paperboard's environmental work. It is easy to give examples of Iggesund's multi-million euro investments and their importance. When Iggesund Paperboard challenged the world's designers to create better and more sustainable consumer packaging the result was almost 200 design proposals. Iggesund Paperboard's Swedish pulp and paperboard production facility, Iggesund Mill, reduced its fossil carbon dioxide emissions by 86% during 2013-14, from what was already a low level. The reduction is partly due to the investment in a new recovery boiler, which was completed in 2012. In an industrial workshop in Strömsbruk in northern Sweden, multimedia artist Nils Olof Hedenskog is working up a sweat. Within six months he will create an installation that it is hoped will attract interest from many art institutions around the world. Iggesund Paperboard has been restructuring its merchant network in the UK for its solid bleached board brand family Invercote and Incada, its folding box board brand. How can we persuade schoolchildren and teenagers to loosen their grip on their smartphones and write by hand instead? Bernard Bouvet is chairman of the Union Professionnelle de la Carte Postale, (UPCP), an advocacy organisation for the postcard industry in France. He may not have all the answers but he is at least practising active resistance. 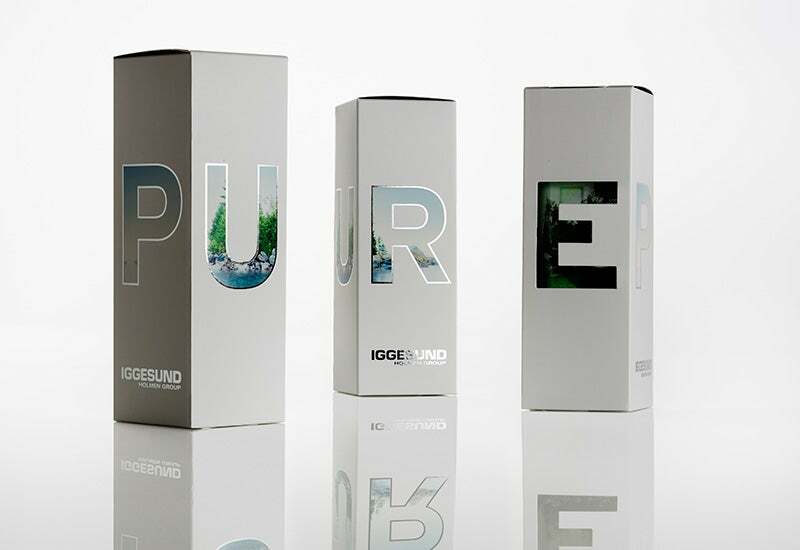 Iggesund Paperboard is expanding distribution in the US making its flagship product Invercote available coast to coast.